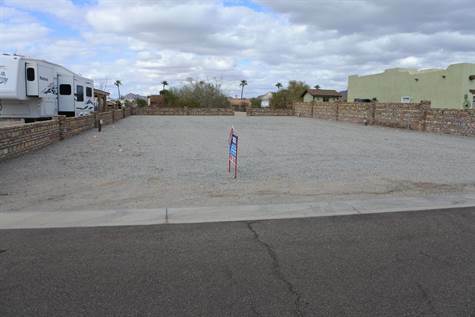 Address: 14540 E. 49th St.
Prime lot on the Wash in the Foothills in walking distance to the golf Course! Amazing Mountain views with big area out the back in wash to have extended living space to plant a garden or possibly a horseshoe pit for entertainment. Easy access out back fence to ride into the wash out to the desert. Beautiful custom homes built in this area with wonderful well kept neighbors! A very desirable area to live in! Don't miss this chance to spend you winters with your RV here or build your dream home! Call now!